Monochrome is back in fashion — as if it every really left. Despite the ubiquity of color images native to digital cameras, the drama of black and white photography is being rediscovered and people are once again connecting with its subtle beauty. Manipulating monochromatic tonal ranges or unicolor tinting injects variety and depth into a portfolio. We looked at nine camera shooting and editing apps representing the many now available. Most of the apps let you connect to social networks like Facebook, Twitter, Instagram and Flickr and several have special features to support Instagram’s square format. But even straight shooting apps will save to the Camera Roll, another easy launching point. Most of the entries are for the iPhone only, not surprisingly, though one is Android only. The most elegant apps have both a horizontal and vertical shooting and editing interface as well as versions that are native for the iPad. We chose nine of the most interesting apps representing a range of functionality and complexity in the black and white genre. We stayed away from apps that mixed in color or sketching effects. While there are many others, we chose these as prime examples representing a variety of features and of course, excellent results. One of the few purely monochrome camera apps made exclusively for Android, Appija’s Black and White Camera offers the full-on monochrome treatment. A filter-based app, you can apply five artistic artistic effects including sepia, red-, green- and blue-scale effects. 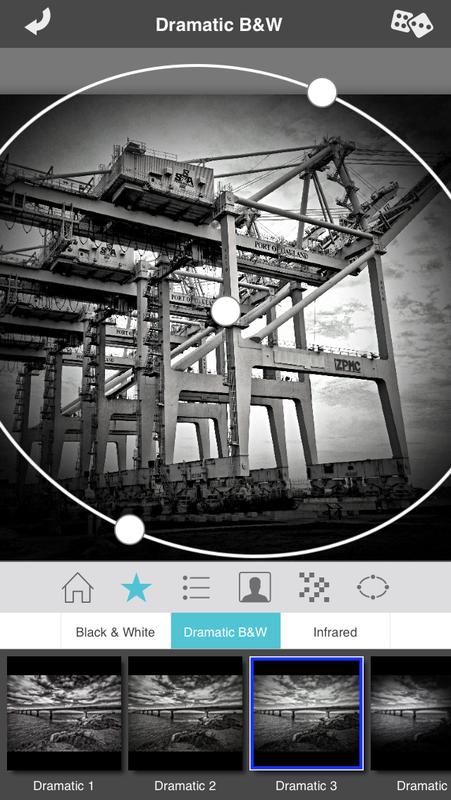 A contrast slider helps to give the right tone to your picture. If you choose to share to Instagram, the app automatically gives you a chance to square crop. Pacific Helm’s Camera Noir is simplicity itself, letting you shoot those moody classics with just three convenient settings — high, mid, and low contrast. Despite the seeming lack of variety, the photos looked great. That’s likely because a few intuitive controls let you set up your shot first. Tap the screen to adjust focus and exposure and then use the built-in level tool to assure that the scene is lined up the way you want it. Operating in both landscape and portrait orientation, with the icons adjusting themselves automatically, there are few other moves necessary. This app works well for a quick shoot, and even for a fast edit of images from your Camera Roll, though you won’t get the pre-edit features with photos you shot earlier. Square crop marks guide you to the best Instagram shot. As its name implies, JixiPix’s Dramatic Black & White goes for the high drama, high-contrast special effect form of noir photography. This app lets you either shoot or pull up an existing image from your Camera Roll to convert a color image to a monochrome. Launching and choosing a setting gives you an adjustable area where the effects will be most strongly applied. The most unique part of Dramatic Black & White are its presets, which are so extensive and well done that I pretty much never adjust anything by hand. The top preset levels are Black and White, Dramatic Black and White and Infrared. Within those settings are dozens of other presets that vary in levels of drama, placement of spotlights, tones, tints and grain. The only annoyance is that every time you move the focus, the app automatically renders even before you decide whether to stay with that effect. A separate HD iPad version is also available should you want a larger canvas. Curious Satellite’s Hueless is a black and white camera app — not a photo editor — so when you launch it, be prepared to shoot. Unlike many photo apps, you can easily use Hueless in landscape orientation, and it actually looks better that way, what with the little rotating icons. Hueless employs a series of tap and hold interface elements such as the H (for Hueless) button and the volume hardware shutter button to let you set a variety of options from saving images in TIFF or JPEG format or choosing normal or tap-to-shoot shutter modes. A manual slider lets you set the exposure while built-in presets give you other quick choices. Tap and hold to lock exposure anywhere on the screen. Tap controls include a rule of thirds composition guide, a switch between front facing and regular camera and the flash. 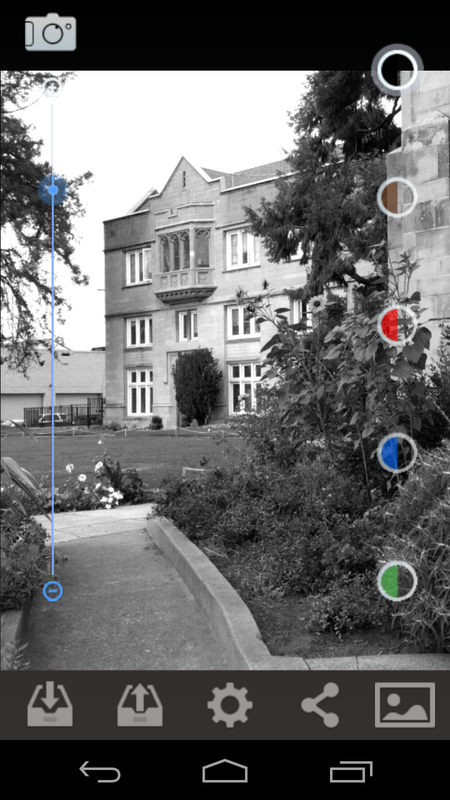 A nice, pro touch gives you adjustable photo filters in blue, green, yellow, orange, and red. The app’s interface feels natural, though if you commit to using everything in the moment, it may seem overwhelming. 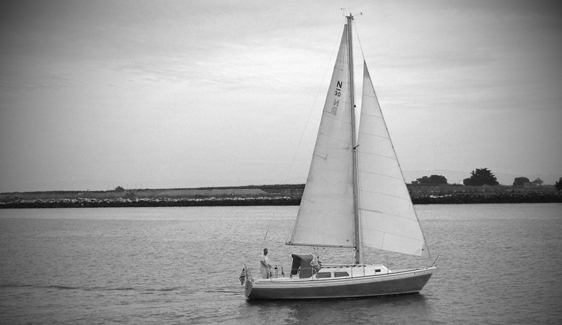 Hueless lets you choose a detailed setup, but you can easily go quick and dirty too. Lenka, like Hueless, is a camera app only, and it’s designed to let you shoot images with high drama in a minimalist package. Created by photographer Kevin Abosch, Lenka works well in portrait or landscape orientation. Its monochrome interface offers two shooting modes: Normal and high contrast, which you access via a toggle button. You can shift focus, alter composition and adjust lighting, and then take your shot. Lenka features just two in-camera controls, and uses the flash setting to continuously illuminate the scene, if you enable it. The high-contrast and high-illumination effects are very powerful, so use with caution. While the image previews, you can also choose between a rectangular or square aspect ratio with an on-screen pinch, plus you can crop and rotate. There are no filters and no front facing camera, so everything is pure art and vision. And that’s not a bad place to start. If cinematic black and white is the game, Red Giant’s Noir Photo is the name. 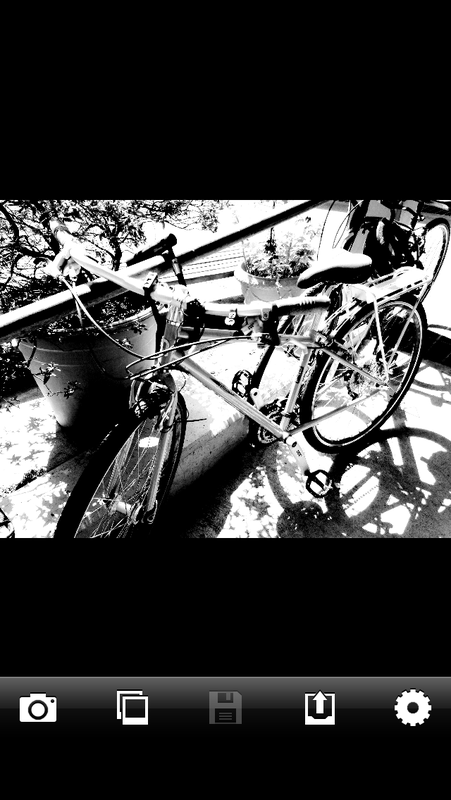 The app uses a spotlight vignette effect, somewhat similar to Dramatic Black & White’s, or various presets to get you started on converting a color image. You can reposition the vignette without waiting for a render. 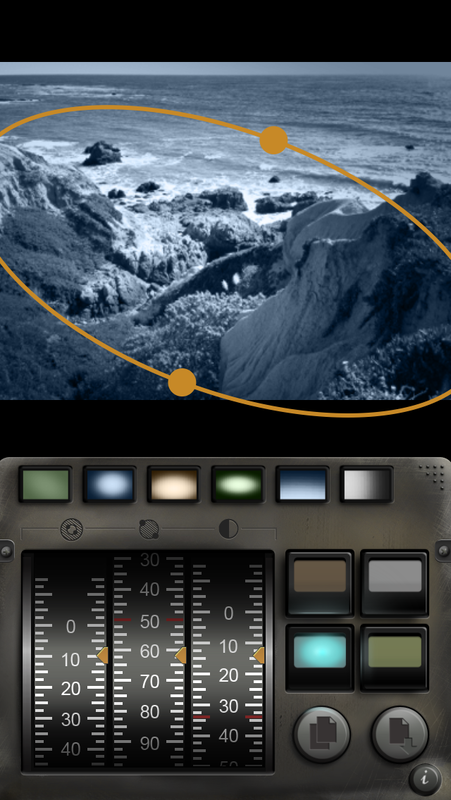 The app is easy to navigate with three on-screen dials that let you separately adjust the vignette’s outer and inner exposure and contrast to give the image a unique look. If you’re especially fond of the effect you created, you can tap and hold one of the six preset buttons to save and reuse it. 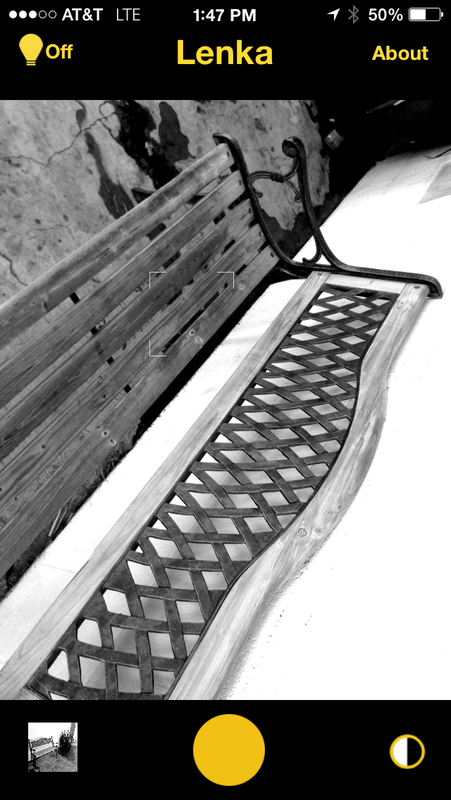 Noir Photo is optimized for both the iPhone and the iPad and can be used in both orientations. All images are saved in their original resolution. Fotosyn’s SimplyB&W takes any image, either shot fresh through its camera or pulled in from the Camera Roll and lets you create a fine art piece from it. Some apps are minimalistic without any controls, and others are full of complex finger and memory exercises. Simply B&W falls somewhere in the middle. It gives you plenty of optional discretion but it also lets you stay fairly hands off if you want to. Among its tools are presets like Landscape, Reportage, and Vintage, all of which deploy characteristic but subtle looks to the image. 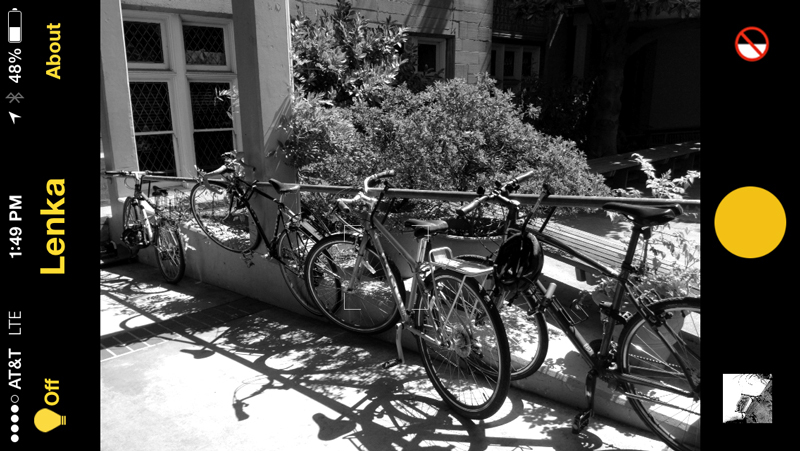 What really makes the app shine are the color filters, which are not tints, but traditional camera filters — also present in Hueless — that give the image a certain look. Red filters are dramatic and high contrast, while yellow filters will boost contrast between clouds and sky. Sliders let you control brightness, contrast, grain, while vignettes and frames add a finishing touch. The app is optimized for both the iPhone and the iPad. Do you like your monochrome photos super contrasty? So does Spica — this app specializes in sharp contrasts. 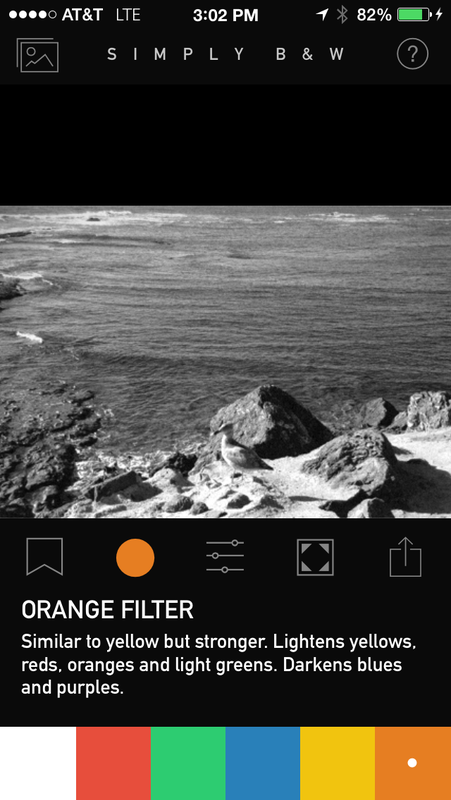 Spica lets you preview your shot in color, but as soon as you tap the shutter button, the view changes to a very intense black and white rendering. It’s the same procedure when using the app or images derived from the Camera Roll. Whatever the original tonal values, Spica will exaggerate them, and mostly in a good way. Shooting with Spica is similar to other apps. You tap for focus and exposure, though with Spica there’s also a zoom function. Shoot with the flash on, off or on auto. Vint MII is intriguing in that it doesn’t let you do much, but what it does do, it does quite nicely. Most of the iPhone and iPad apps here have numerous controls, despite attempting simplicity. Vint MII doesn’t have to try — it’s dead simple by default. Launch Vint (short for Vintage), frame your shot, tap for focus and exposure control, and fire. That’s it. The image you shot goes right to the camera roll and the camera sets up automatically for the next shot, no viewing in the app itself. To see your black and white shot or do something else with it like edit or share, retrieve it from the Camera Roll, as Vint has finished its job. If you want to convert a previous color image to black and white, call it up from the Camera Roll directly in the app and hit the shutter. The same thing happens. You may have less control over the result than you’re used to, but the results are worthy. These are just a few of the many excellent black and white apps out there. Do you have any favorites? Please share them in the comments.